Growing Solutions' staff would like to thank UCSB Coastal Service Program and the two student groups that joined us this fall in working towards a healthy environment. 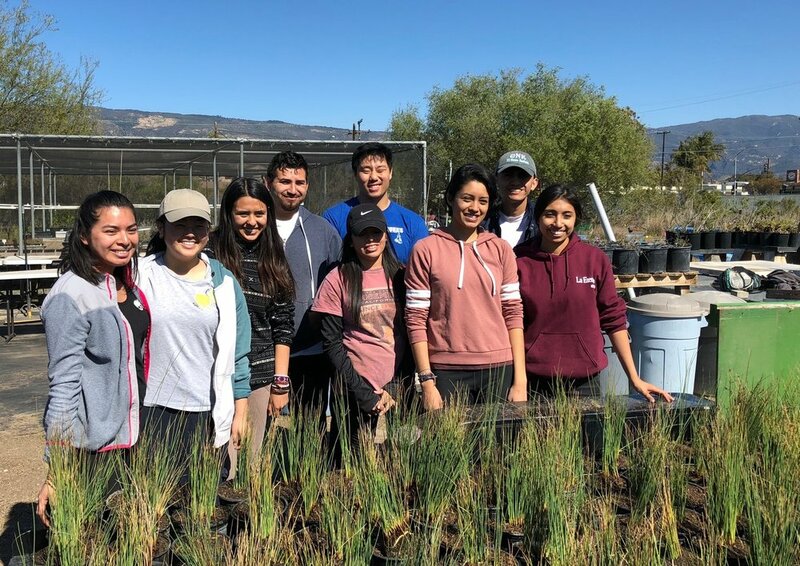 This quarter students from the Muslim Student Association and Society of Asian Scientists and Engineers joined us in propagating native plants for a Gaviota Coast restoration project. The students divided and repotted Disticlis spicata a.k.a. salt grass that is used in local restoration projects among the dunes in and around Isla Vista. These students are enrolled in a wide range of majors at UCSB, including some that one would assume have nothing to do with ecological restoration. The beauty of this program, however, is that young people get to experience scenarios outside of their comfort zone and get a glimpse of how connected everything is in the natural world. While propagating plants students learn the attributes of the plant species they are working with, how it fits into the habitat it belongs to, and what benefit (ecosystem service) it provides for the environment. Here's a chance this fall to get your hands dirty, learn new skills, have fun and grow your own garden-to-table veggie dinner. 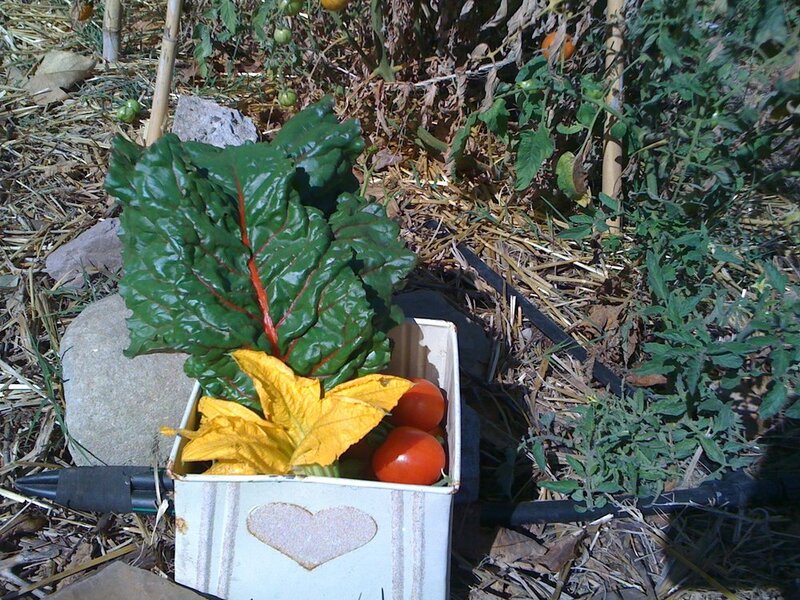 GS Founder Don Hartley will be offering a three-unit class in Small-Scale Food Production at Santa Barbara City College that explores the natural and sustainable techniques and skills used to produce healthy organic produce. Soil development, composting, mulching, suitable vegetables, fruit trees and herb cultivation will also be covered. The class (EH 207) is offered through SBCC's Environmental Horticulture department to all registered SBCC students. 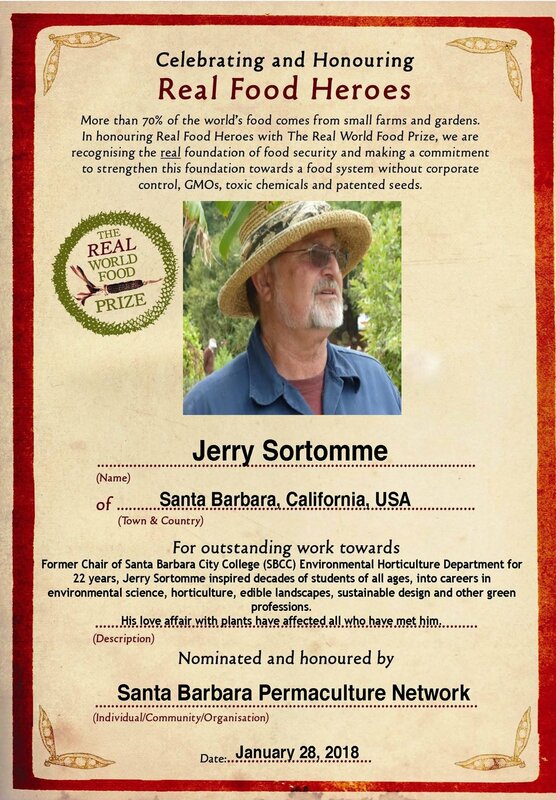 For class and registration info contact info@growingsolutions.org and check out the SBCC website. Don Hartley in the garden classroom. 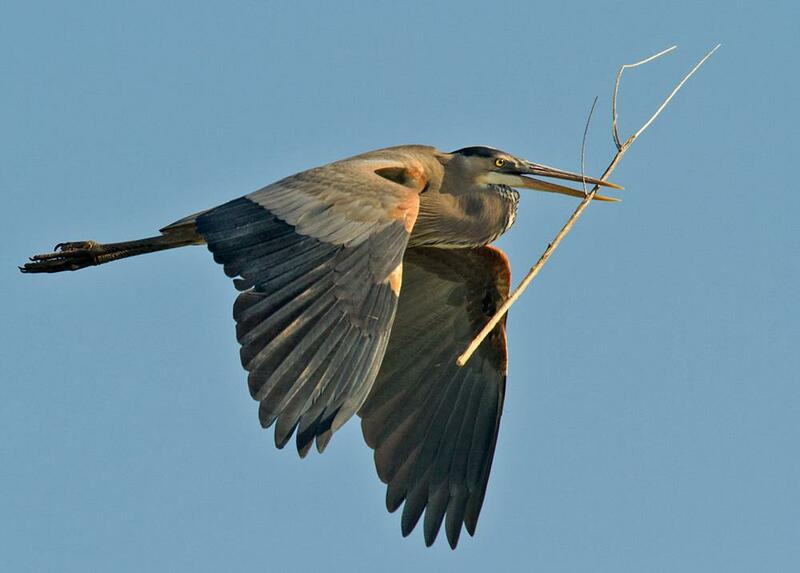 Malibu Lagoon Restoration...A Reason To Celebrate! Five years after planting thousands of native-California wetland seedlings at Malibu Lagoon, Growing Solutions staff and volunteers joined the staff of the Santa Monica Bay Restoration Foundation to remove irrigation and allow Mother Nature to do the heavy lifting in ensuring the long-term health and vitality of the lagoon. Starting in 2013, Growing Solutions was part of a multi-agency effort to restore the lagoon’s natural tidal flow and ecosystem back to the historical function that existed before human pollution, sewage, and debris dumping started in the late 1800s. Misguided efforts to turn the lagoon into a jogger’s haven by building manmade islands connected by bridges choked off the natural ocean and creek flow vital to lagoon ecology. Over the last 100 years the lagoon was plagued by decreased tidal flushing, increased pollution, non-native weed infestation and massive algae blooms that turned the once-pristine wetland into a stinking cautionary tale. However, through careful planning and wetland re-contouring—together with vigilant watering, weeding and maintenance—the 31-acre lagoon is now able to maintain itself and provide critical habitat for dozens of wetland creatures that use the lagoon for shelter, feeding and reproduction. GS’s role was to collect the surviving native plants, propagate them off-site, deliver them back to the lagoon and help with installation and maintenance over the last five years. Results: marine species (i.e. 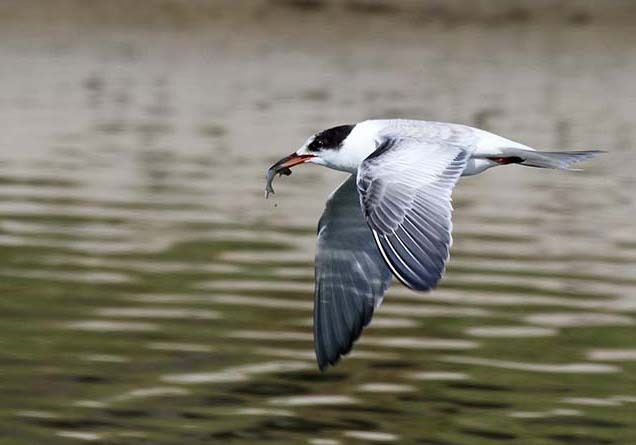 fish, snails and crabs) populations have increased which in turn have attracted the native seabirds in increasing numbers. Many threatened species such as snowy plovers are experiencing modest but significant rebounds. Park visitorship has doubled, and many local schools now use the lagoon as a living learning lab to teach the critical value of ecology and just how hard it is to restore native systems after thoughtlessly destroying them. Over the weekend of May 26th GS staff and volunteers helped remove, haul and recycle over three miles of irrigation pipe while managing Santa Monica Bay Restoration Foundation volunteers for the weekend event. In between they found time to enjoy some bird watching; observing osprey, egrets, pelicans, hawks and snowy plovers scurrying among the sand dunes. If you would like to volunteer for future Lagoon events, contact the Santa Monica Bay Restoration Foundation. Former GS intern Richard Avary removing pipe. Covered in mud and glory...Grace Murayama, Don Hartley, Karen Flagg and Larry Loeher. Last summer Growing Solutions' co-founder Karen Flagg volunteered as an instructor with the UCSB Smithsonian Scholars Program for a fun and highly productive field trip out to Santa Cruz Island. Over 25 students and instructors made full use of the UC field station to learn about the incredible biodiversity across the 22-mile long island. 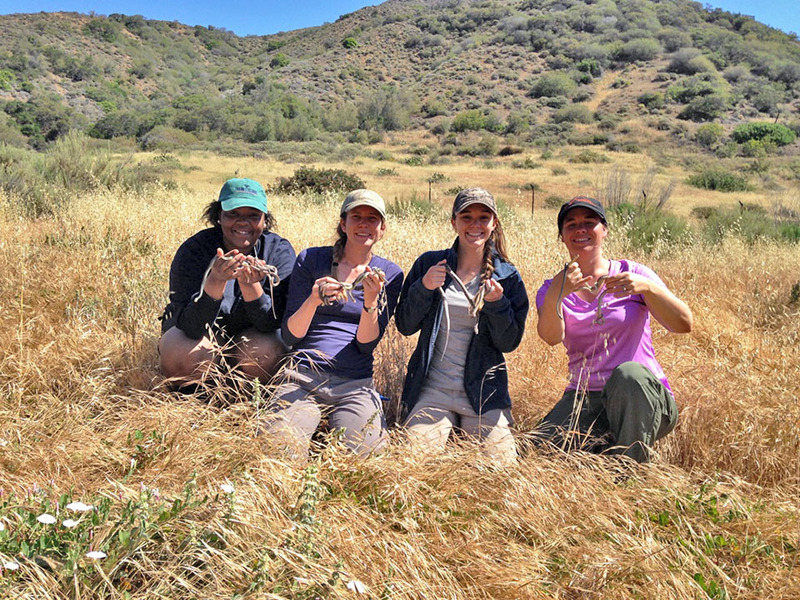 The Scholars program provides multidisciplinary research opportunities in biodiversity conservation to first generation, low-income, and/or underrepresented minority undergraduate students from UC Santa Barbara and local community colleges. To see a slideshow click on the image below. For more information on the Scholars program click here.